This stunning perpetual plaque features a classic walnut finish, a large black brass header plate and your choice of 60, 84, or 102 black brass perpetual plates to fit your award needs. This stunning perpetual plaque features a classic walnut finish, a large brass header plate and your choice of 60, 82, or 102 brass perpetual plates to fit your award needs. 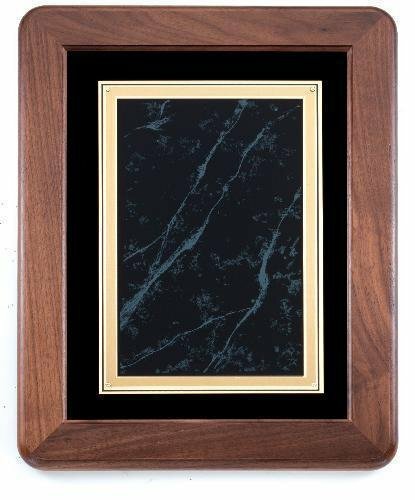 This green marble polished acrylic plate is paired with a traditional walnut finish plaque for a look of timeless beauty. The plate is 1/8" thick and adheres to the plaque with a bright white double faced tape to make your personalization really stand out on this classic award design.